Ask Yoli how many times I’ve prevaricated over joining my local cycling club, the Wannabees, and her answer will almost certainly be accompanied by a rolling of eyes. I should be old enough to know better, but the stupidest of reasons has put me off each time I’ve visited the website to download the forms: the name. Daft as it is, the name has kept putting me off – cycling is purely a fun past-time for me. Although I can get extremely competitive with myself, I hope I don’t take myself so seriously that anyone one would label me a wannabe. Except now they can, albeit with a slightly different spelling. I have got over myself, seen sense and become a Wannabee member. In the end, the simplest of reasons decided it for me: safety. I’ve been lucky enough to have very few near misses in the four years I’ve been riding solo, but cycling accidents and hijackings are on the increase and with Ben and Yoli to consider the risk feels too high. Cycling as a group is generally safer, and having training partners is an added motivation to get out of bed at 6am on a cold and dark winters morning to go ride. My first club ride was the midweek Wednesday ride a couple of weeks ago. And what a ride it was As if to both endorse my decision to join, and also chastise me for not doing it before, the guys chose a stunning route for my first ride: Clarence Drive, the scenic coast road from Gordon’s Bay. 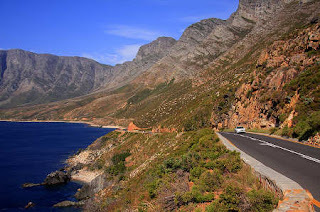 I’ve wanted to ride that road since I first started cycling in South Africa, but had shied away from riding it solo because of the lack of a safety lane. 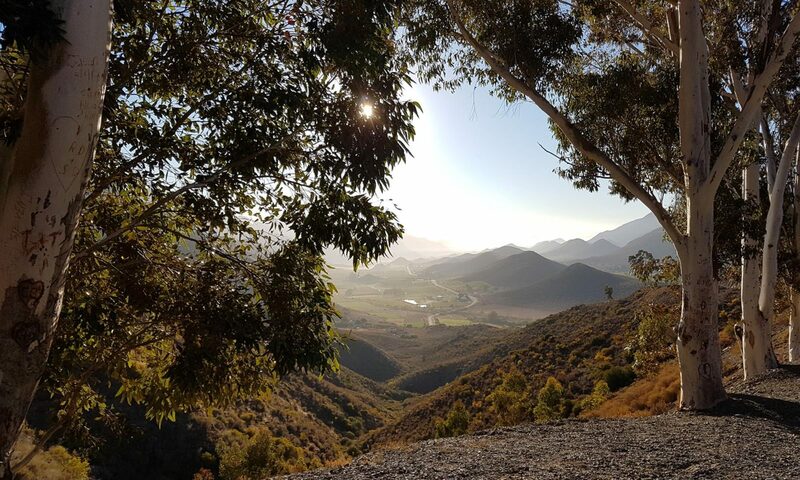 The route and the ride did not disappoint, either on that first week or this Wednesday’s ride when we went a shade further and turned around after climbing the short but steep hill just beyond Rooi Els. The scenery is every bit as majestic when viewed from the saddle, except that it slides by more slowly so you get to appreciate it more. Not to mention being able to hear and smell the ocean crashing against the rocks, in places only a few meters down from the road. The wildlife hasn’t let us down either. We’ve seen mongoose, seals, and large troops of baboons on both rides. In the next few weeks, we should be enjoying sightings of whales too, as they arrive to nurse their young in the bays. The final bonus from joining also came with a bit of a moral dilemma – John offered to put my name down on their DC team list. It meant backing down from the provisional DC team that a group of us from The Hub had started to pull together, which wasn’t an easy decision to make. In the end though, the option to train locally with a group of experienced riders who had done the event before was a compelling factor given my always limited time for riding. So there it is, I’m proud to officially be a Wannabee and Yoli gets to enjoy poking fun at me for being a wannabe every time I don the jersey. Turns out to be more in a name than you might expect.